Let’s celebrate Top Gun Day and the legendary F-14 Tomcat with this cool story told by Mike Crutch in his new book CVW: US Navy Carrier Air Wing Aircraft 1975-2015. 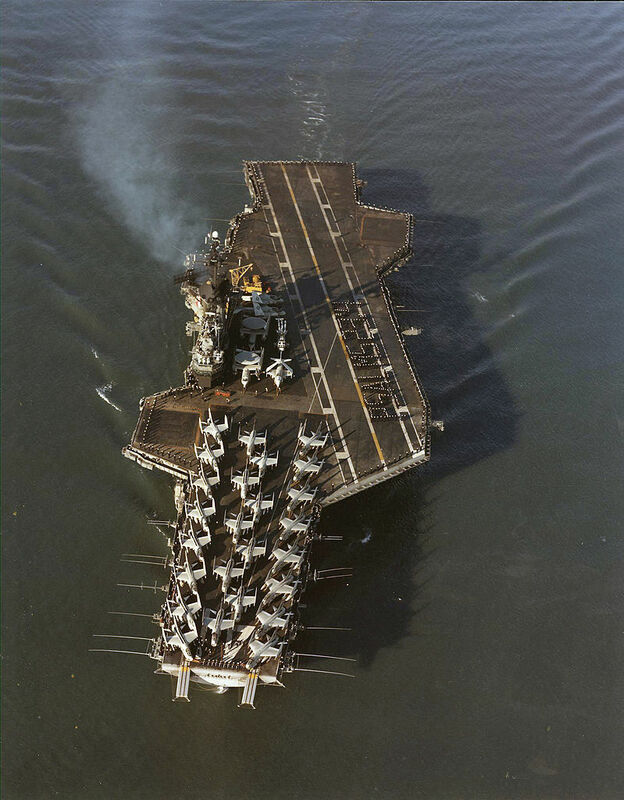 On Sep. 29, 1982, following an alert launch from USS Enterprise (CVN-65) for one of the probing Soviet flights, AARDVARK 111 (F-14A BuNo 159874, crewed by LT Rick Berg and LT Lee Ducharme) experienced thick fog during the return to the ship as did LION 202 (F-14A BuNo 159859, piloted by LT Tom Lawson with RIO LT Dave Willis). LSOs had reported seeing ‘only the wheels’ of Berg’s F-14 during a wave off, and both Tomcats went into an airborne hold while everyone considered the options. The immediate problem of the F-14s’ fuel state was addressed by a gallant crew in a VA-95 Green Lizards KA-6D tanker, which reportedly ‘disappeared’ as soon as it left one of Enterprise’s catapults. Shore options in the far off Aleutian Islands never offered themselves due to their own weather situations, and the prospects of ditching were not favourable, not least due to the water temperature and likely survivability of the F-14 crews. Some 100 miles east of the growing predicament, USS Midway (CV-41) was operating in an emissions control (EMCON) environment to remain as covert as possible from Soviet electronic ‘ears’. 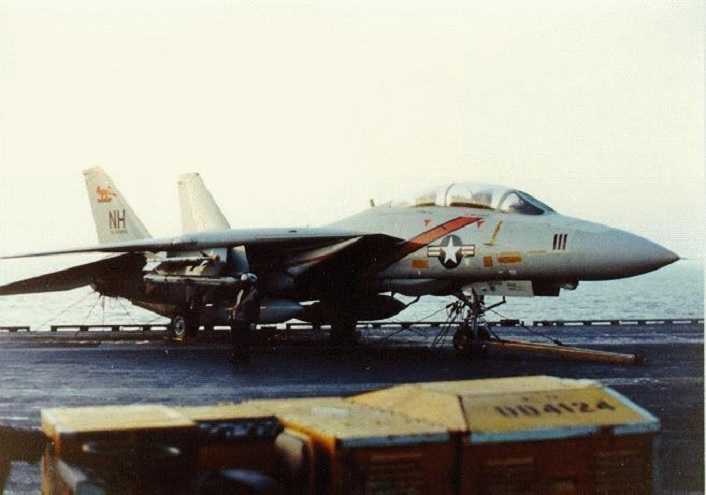 The notion of diverting the Tomcats to a ship not equipped to handle F-14 operations was initially discounted by the decision makers in the island of Enterprise, but with all other options exhausted the CO of VF-114 (CDR Jay Yakeley, arguably the fleet’s most experienced F-14 aviator) was finally given permission to send Midway’s Air Ops department the F-14 ‘trap’ data for them to assess the success factor of such a recovery; the matter of launching the Tomcats off Midway would wait for later. The weather situation for Midway was itself worsening, having already recovered the valiant Intruder tanker from VA-95 along with its own aircraft, and was running at flank speed to stay one step ahead of a fog bank. Finally, AARDVARK 111 and LION 202 were handed off to Midway’s air traffic controllers for recovery and, after getting around some initial difficulties associated passing certain data unknown but essential for the F-14s landing ‘in the clear’ on the radio, the F-14s commenced their approach as the Midway turned into the wind towards the fog bank; time was running out fast. LT Berg, in his account of the event published in The Hook/Fall 2004 issue, describes his biggest surprise on breaking out of the ever-lowering cloud ceiling was the sight of Midway, being so very different in size and layout from that of the comparatively newer generation of carriers he had landed on before. Thanks to the efforts of everyone, not least the Midway’s powerplant specialists who had coaxed an extra four knots above normal speed from the ship’s boilers, Berg received an ‘OK 2’ from the LSOs (not bad considering CV-41 only had three arrestor wires). The VF-213 Tomcat also trapped successfully, and a few short minutes afterwards the fog bank finally swallowed the ship. After a night aboard, thoughts turned towards the possibility of getting the stranded F-14s off Midway. It was decided to launch the aircraft, rather than have them out of action until a suitable port visit could winch the aircraft off to then despatch them ‘from the beach’. 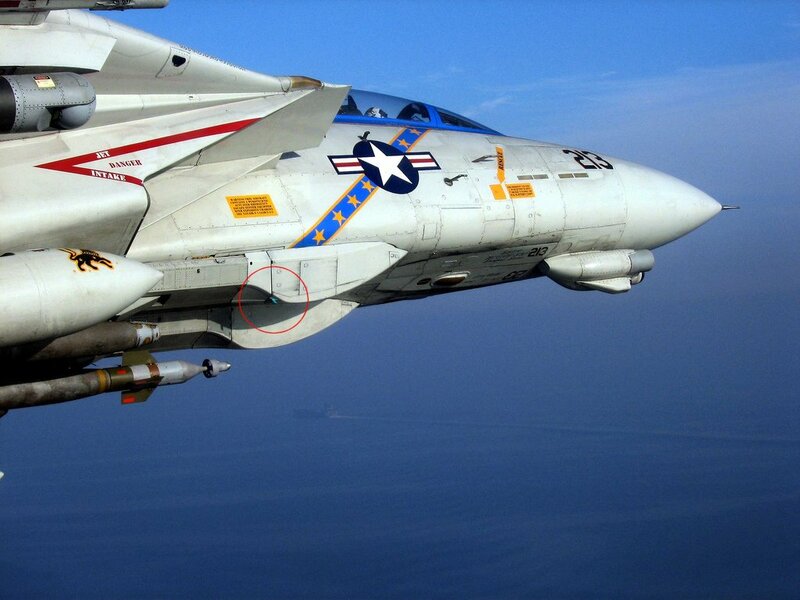 Enterprise sent a catapult officer and a F-14 launch bar across in what was now clear skies. The VF-114 crew, after making the first F-14 trap aboard Midway the previous night, graciously offered the chance of ‘first Midway F-14 launch’ to Lawson and Willis in LION 202; a gentlemanly act maybe, or as Berg put it ‘..a good confidence check on the catapult system’! As both aircraft completed their post-start and pre-take off checks, the VF-213 aircraft took more time than the VF-114 crew could stand and they ended up being first off under the watchful gaze of Midway’s crew enjoying their second bout of excitement in 24 hours. Both launches were marginal but safe, and the Tomcats positioned for a section flyby in full afterburner as a small gesture of thanks for the outstanding teamwork and hospitality demonstrated by Midway and CVW-5 during their time aboard. CVW: US Navy Carrier Air Wing Aircraft 1975-2015 is available to order here.